Over the past few years I’ve become a huge fan of all things hot and spicy. Not quite sure what in my brain made the switch from mild to wild, but as I age I enjoy feeling the burn from something other than a hot flash! When I was assigned to the blog: Life and Kitchen for this month’s Secret Recipe Club I had a hard time choosing from all of Lindsay’s marvelous looking recipes. This was the first time I had ever visited Lindsay’s blog and I was completely impressed with her skills in the kitchen. From her writing to photography to Lindsay’s vast selection of mouthwatering recipes, I was hooked. I’ve since added Lindsay’s blog to my own bloglovin’ reading list and look forward to her each and every post. 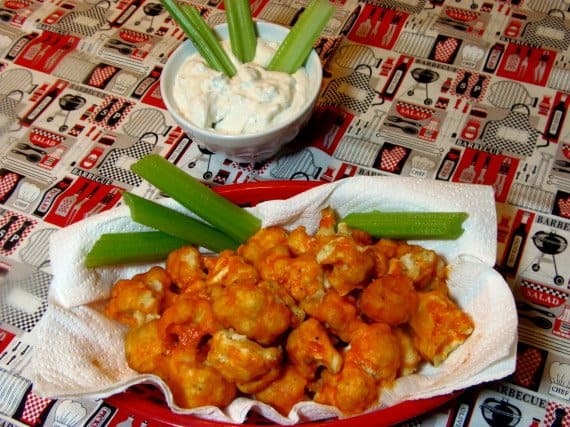 The one recipe I finally settled on was Lindsay’s Vegetarian Buffalo Poppers. 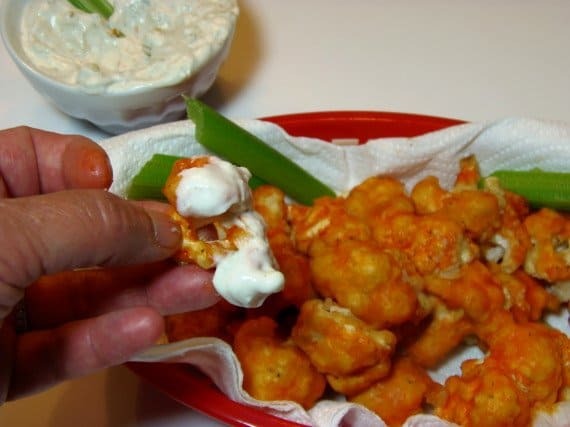 I felt that this recipe was a good way for me to get my heat on and yet not feel too terribly guilty because cauliflower takes the place of those nasty chicken wings (I really don’t mean nasty, I love them too but sometimes you just have to chew the right thing)! -Preheat the oven to 450 degrees. 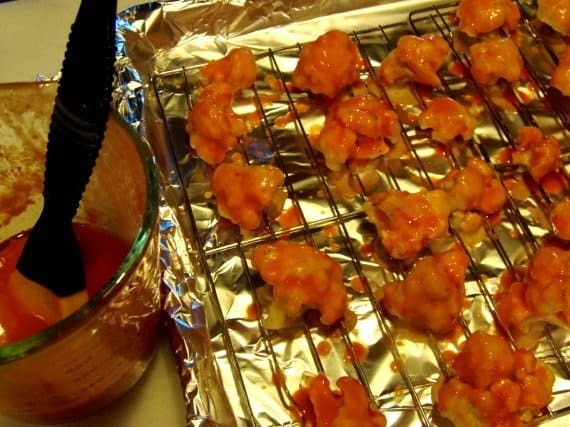 -Line a baking sheet with aluminum foil and a baking rack. Spray with cooking spray. Set aside. 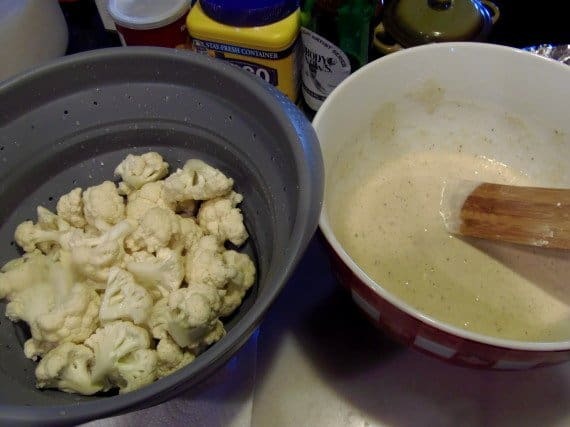 -Wash and chop the cauliflower into florets. 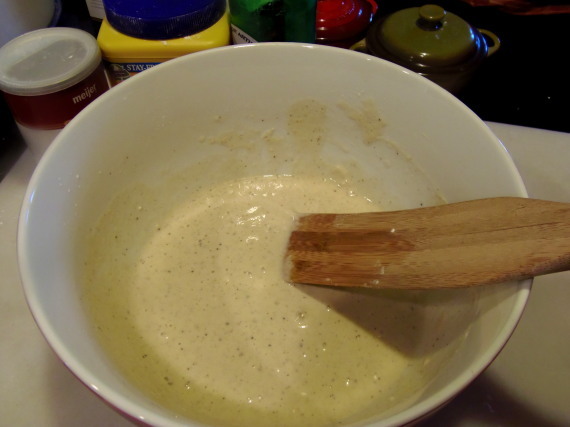 -In a medium bowl, combine the flour, cornstarch, baking powder, garlic powder, salt and pepper. 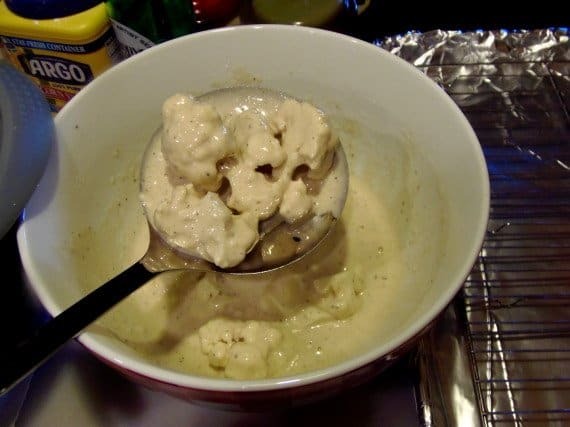 -Pour in the beer and mix well to form a thick coating that will stick to the cauliflower. 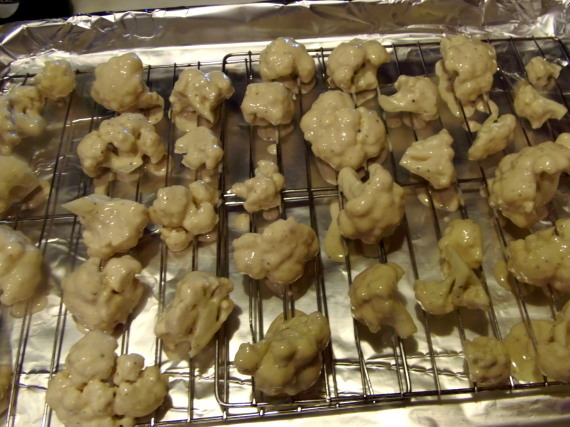 -Add the cauliflower florets to the coating mixture and turn to coat each piece liberally. -Using a slotted spoon, remove the florets and place them on the prepared baking sheet. -Bake in the oven for 15 minutes or until the florets are lightly browned. 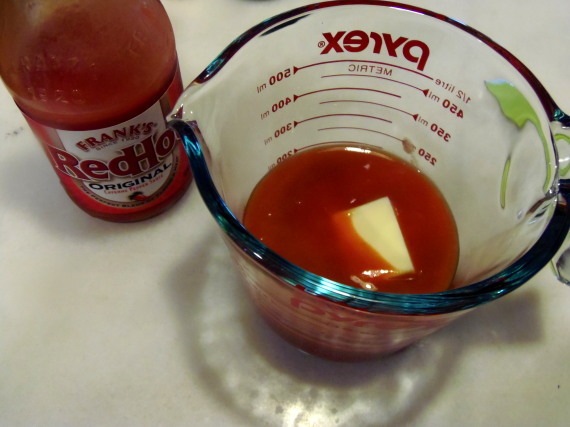 -Meanwhile in a small bowl, microwave the hot sauce and butter until it’s hot and melted. 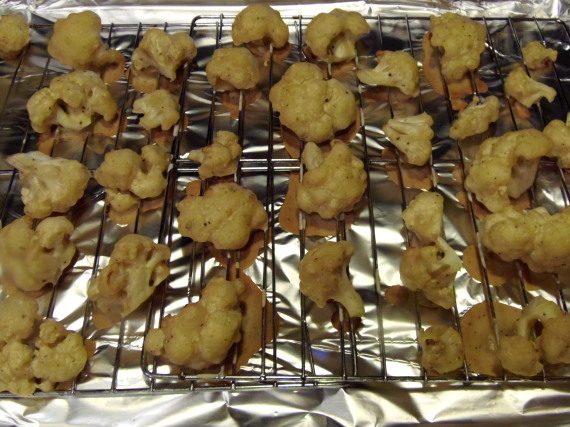 -Remove the cauliflower from the oven and brush each floret with the hot sauce. -Return the cauliflower to the oven and continue baking for an additional 5 minutes. 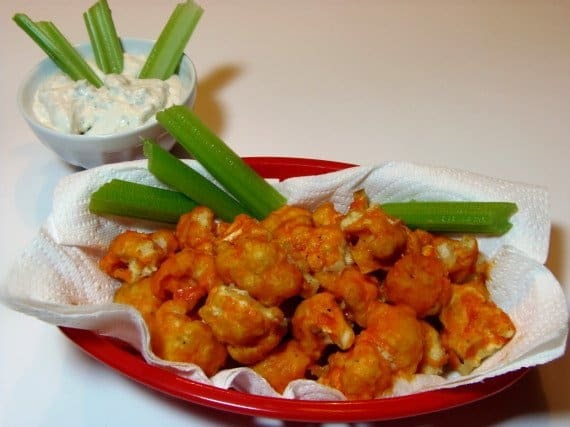 -In a small bowl, combine all the dip ingredients (except the celery sticks) and stir well. 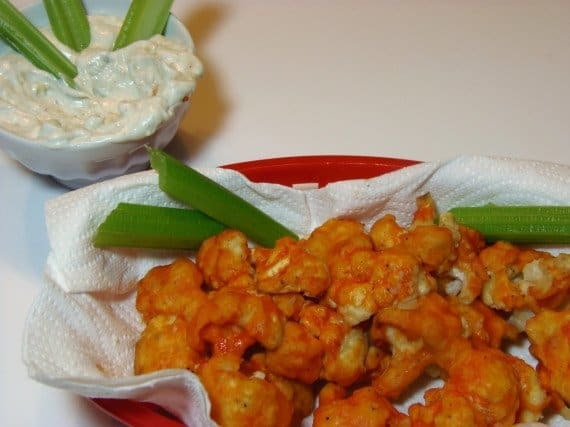 -Serve the Buffalo cauliflower with the blue cheese dip and the celery sticks. I can't believe it's cauliflower! This looks absolutely amazing! Great pick! That looks like such a fun and tasty treat!! Great selection!! Ah, I've been dying to try these. This version looks especially addictive with that batter. Yum! That sounds soo good. I love cauliflower and always look for new ways to eat it. Yum.